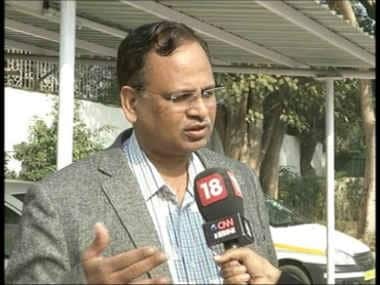 New Delhi: The CBI has recovered property documents, bank deposit slips of about Rs 2 crore allegedly linked to Delhi minister Satyendar Jain, and companies where he was the director, during searches at the residences of Delhi Dental Council Registrar, the agency sources said. The documents were recovered during CBI searches at the residences of Dental Council Registrar Rishiraj after he was arrested in a separate case on Saturday, they said. Reacting to the development, a senior Delhi government official alleged it was an attempt by the Centre to malign Jain's image and that he had nothing do with the registrar. Rishiraj and N Pradeep Sharma, a lawyer for the council, were arrested last night while allegedly receiving a bribe of Rs 4.7 lakh from a doctor, they said. 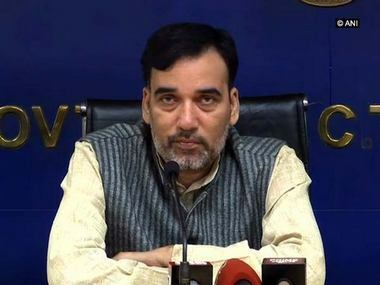 "The CBI has registered a case...on the allegations of demanding a bribe from the complainant for getting him favourable order from the Delhi Dental Council and also for extending help in further legal proceedings in his matter," CBI spokesperson Abhishek Dayal said. 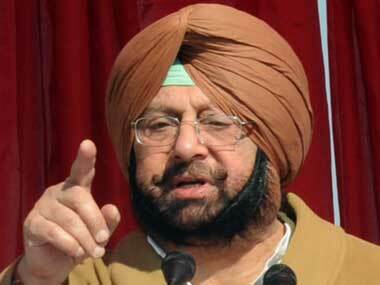 He said the CBI laid a trap and caught the accused while demanding and accepting the bribe from the complainant. 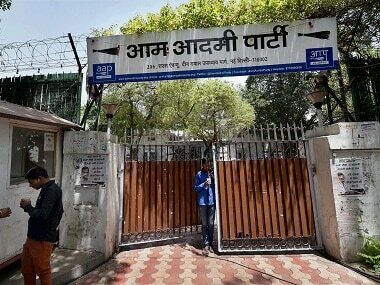 Later during the searches, the CBI recovered from Rishiraj's locker property documents in Jain's name at Karala village, cheque books in the name of the AAP leader, his wife Poonam and JJITL estate private limited, the sources said. They said IDBI bank slips showing deposits worth Rs 2 crore in the name of Jain's companies in 2011 were also found during the searches. "Three property documents including two sale deeds of land measuring 12 bigha 2 bishwa and 8 bigha 17 bishwa at Karala village, Delhi; one power of attorney for land measuring 14 bighas in the village (were found)," Dayal said in a statement. He said a deposit slip book of a bank containing counter foils detailing deposits of approximately Rs 2 crore during 2011 in the name of Jain and companies, where he was serving as director, and in the name of his family members were also recovered. Besides, 41 cheque books in his and his wife's name and in the name of a private estate firm were also found, he said. The CBI also claimed to have recovered 500-gram gold and Rs 24 lakh cash but it was not clear if these are also linked to Jain, the minister for Power, PWD and Health. The sources said the documents were original and the agency would soon be calling the minister for seeking his explanation on the recoveries. Last year, the CBI had booked Jain in case related to disproportionate assets. The sources said they believe that these documents could have been shifted to the premises of Rishiraj for safe-keeping and to escape the CBI searches last August in connection with alleged corruption cases against the minister, they said. "Why will a person keep original property and bank documents at a third person's residence if he was not attempting to hide facts?" an official connected with the probe asked. Rishiraj was nominated as the registrar of the Delhi Dental Council by the Aam Aadmi Party government. Meanwhile, the senior Delhi government officials said, "Jain has nothing to do even remotely with the registrar in question. Till date, the BJP has miserably failed in digging out anything against Jain. "The BJP-led central government is only trying to malign his (Jain's) image. This is the latest attempt to frame Jain." He said the papers "planted" by the CBI have been twice handed over by Jain himself to the agency, and have been declared many a times in his I-T returns. "What is new in these papers? This is a fresh BJP conspiracy," he claimed.